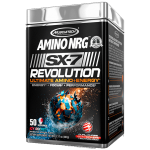 The main component of amino acids is nitrogen, which is necessary both for repair and muscle growth. The amino acids can enter your body through whole foods and supplements. 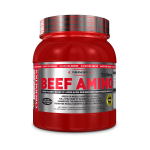 Amino acids are created every time you digest protein foods, but it is not certain that this particular protein source will contain all eight essential amino acids. If it doesn't, your body will not be able to find a positive nitrogen balance and therefore it will be impossible to grow. Without adequate amounts of amino acids, your body will not build muscle proteins and then will start to breakdown what is already available. By taking supplemental amino acids, the gastric load is reduced, the rate of their utilization by the body is increased and their elimination is decreased. 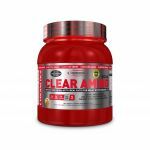 The absorption index of all amino acid supplements available in our stores is 100%. 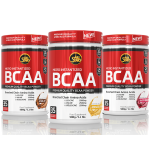 All amino acid supplements at BODYBUILDING CLUB derive from natural sources, they are hypoallergenic, pure, clean and free of impurities and they can be used with 100% safety and success. 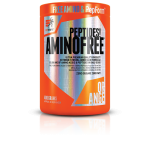 Amino Free Peptides 400 gr.